$33 for work place pick-up. Re-sign up by Sunday at 6 p.m. and don’t miss a beet. 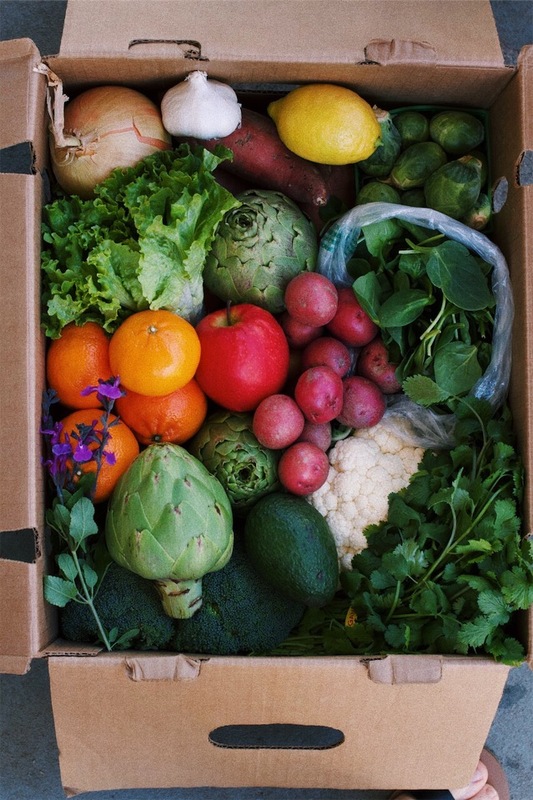 ONLY certified organic produce goes in our boxes. For real! We have broken away from all farmers that claim they do not spray, and say no pesticides. We only hold an organic cert accountable and that is why we only work with certified organic farms. We tell you what’s coming in your next farm box 4-5 days before your next scheduled delivery. Then you have till the Sunday before delivery at 6 pm to add to your box. We offer organic bulk grains, RAD sourdough, and other small hard to find items like local asparagus and Ojai pixies. Create your own schedule thru our easy to use member dashboard. You can view your delivery schedule thru a calendar and make changes however you need. Going on vacation or your fridge is too full from the week before? Just HOLD your next delivery. You are only charged for a scheduled box. sign up for our helloharvest box, read our ‘add on’ email to meal plan and add to your box, and enjoy a box of ONLY ORGANIC produce. give it a try & cancel anytime! Q. I get my helloharvest box every other week or once a month. Can I keep that delivery schedule? A. Yes! You have full control over your own delivery schedule. Once you’re all signed up, you can put your box on HOLD as many times as you need thru the calendar in your member dashboard. You’re only charged for a scheduled delivery. Q. What farms do you source your produce from? A. We use a lot of the same farms that Helloharvest uses. Our four main farmers in Santa Barbara are John Givens, Sunrise Organic Farm, Frecker Farms, & Alcantar Organics. You will be getting a lot of the same produce and of coarse with the same GREAT quality. Q. I’m currently getting a medium size or big bin from Helloharvest. Will your ‘helloharvest’ box be enough food for me and my family? A. Well you love veggies and that’s awesome! You can add to your box every week and even set standing add on orders to every box.